Evergreens are found throughout the world, including Germany. Many evergreens are cultivated for use as windbreaks, as ornamental trees in gardens and on city streets, or for their timber. 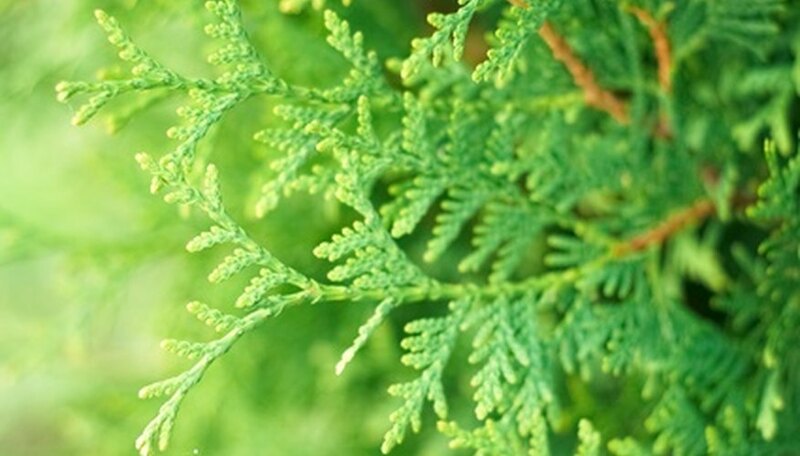 Evergreen types found in Germany include the common juniper, European silver fir and the Norway spruce. These evergreens are classified as conifers, which means the trees have cones instead of fruit. The common juniper has the most extensive range of any conifer in the Northern Hemisphere, according to "Trees" by Colin Ridsdale. A small tree, the common juniper reaches a height of 20 feet. The bark is red-brown and peels off in papery sheets. Its needle-like leaves are flat, sharp and have a blue tint. The cones are round and green when young, becoming purple-black when mature. The European silver fir is found in the Black Forest. The tree is known for its long life and some specimens are over 300 years old, according to “The Illustrated Encyclopedia of Trees of the World.” The tree is susceptible to insect damage. The fir reaches a height of 165 feet. Its bark is gray and smooth, becoming paler and cracked with age. The flat needles are shiny green with rounded tips. The cones are are shaped like elongated eggs and are red and brown. The Norway spruce is native to Europe. A symmetrical tree, it ranges in height from 80 to 100 feet. The bark is a bronze-pink color when young, becoming purple as the tree ages. Its needles are shiny green, pointed and borne on branchlets that hang downward from the main branches, according to “Field Guide to Trees of North America.” The cones are long and cylindrical.